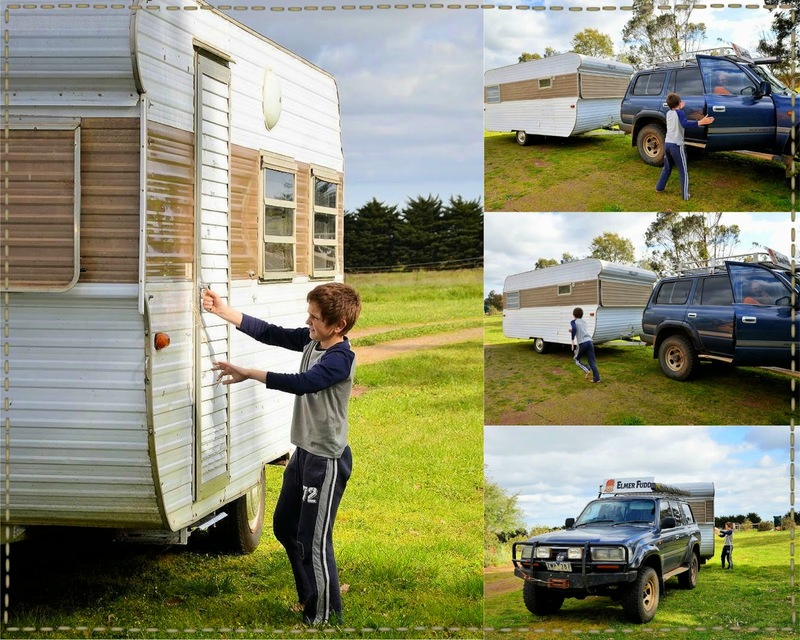 Happy Hamby Campers: 15-feet for fun?! There was a lot of excitement this afternoon - Nick rolled up the driveway with our new caravan in tow! When I say "new", I definitely mean new-to-us because our 1976 Millard has come a long way since first rolling off the production line! "Nothing super-flash. Definitely small. Probably "vintage" due to (at this stage non-existent) budget!" Yep. That's exactly what we got! In the space of a month, Nick was paid an unexpected bonus. We allocated some to "mental health" maintenance - hence we had a modest budget for a caravan, which meant we could start looking (at the bargain basement end of the market)! Our choice is most definitely functional, rather than fancy. A coat of paint will probably help and there are vague plans for modifications as time/budget allow. Replacement mattresses are on the wishlist. 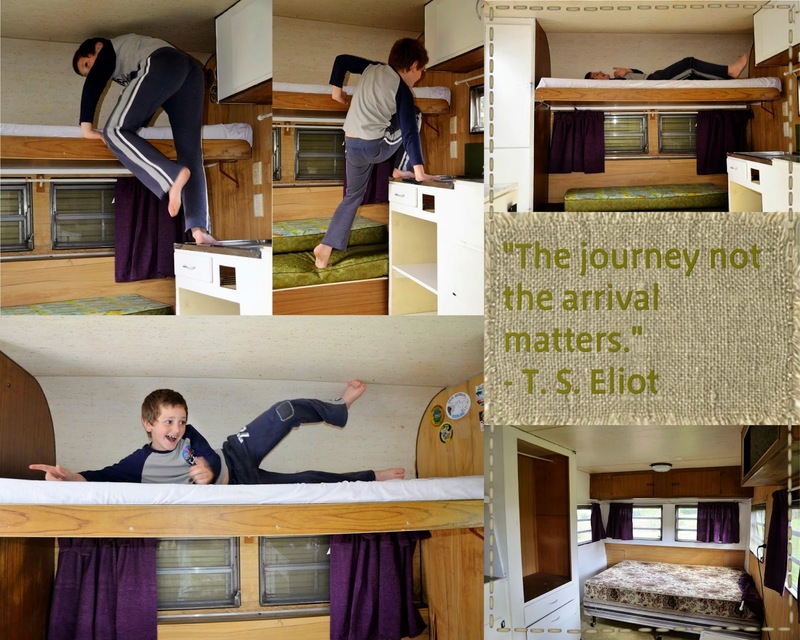 In the meantime though, we can use our 4WD camping mats on the bunk beds (rather than the 40-year-old foam). I can raid my extensive fabric stash to make new curtains - and maybe custom sheets. We have plenty of other bedding, so it should be possible for our caravan beds to be made-up in a state of readiness, ensuring quick getaways! I'm planning a backyard caravan sleep-out on the weekend, so we can test some of our theories. Nick and I played caravan parks this afternoon. We've chosen a garden view site, close to the "camp kitchen" and "amenities block"! 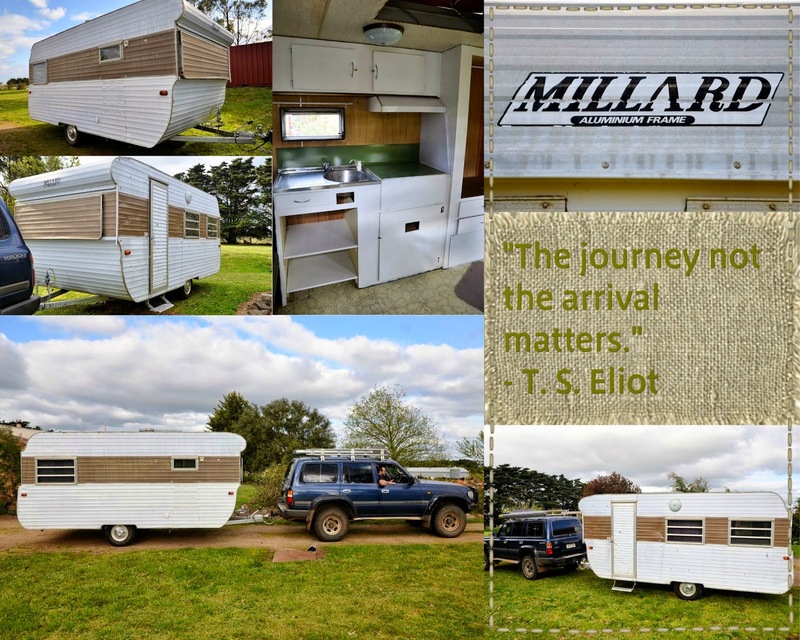 I reckon our caravan christening could be a great school holiday finale - and we might be able to crank up my fire-pit also! (Erin seemed a bit bemused by the plan but then, she already has an on-site van)!